I have to go through this scenario recently and meet with some small issues. I just would like to write down the detail step here in case you might also need in the future. for survey question, just define a simple question with Date as anweser type: When do you start to work with ABAP? Save the survey and write down its ID 75 for later usage. 2. 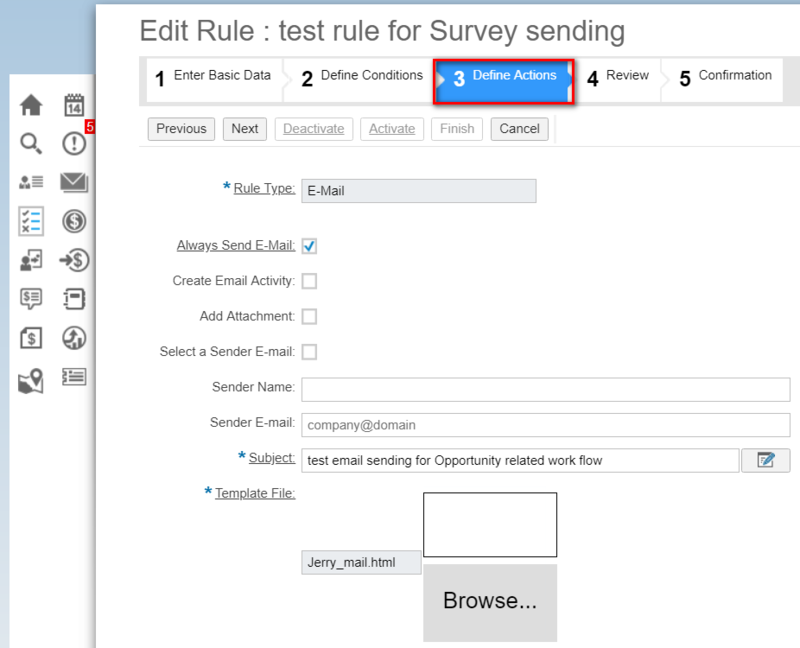 Create a Workflow rule for BO Opportunity. This defined workflow will be triggered every time when an Opportunity is saved. The local file looks as below. Use #SURVEY75# as place holder. In the runtime, a concrete url will be automatically generated by C4C backend using the question and answer designed for survey ID 75. 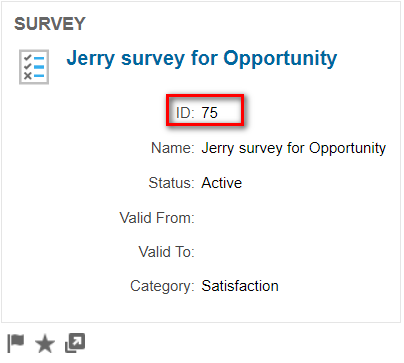 Also add a #SURVEY75# as placeholder and map it to a given field. For mapped Field, just choose one from drop down list. 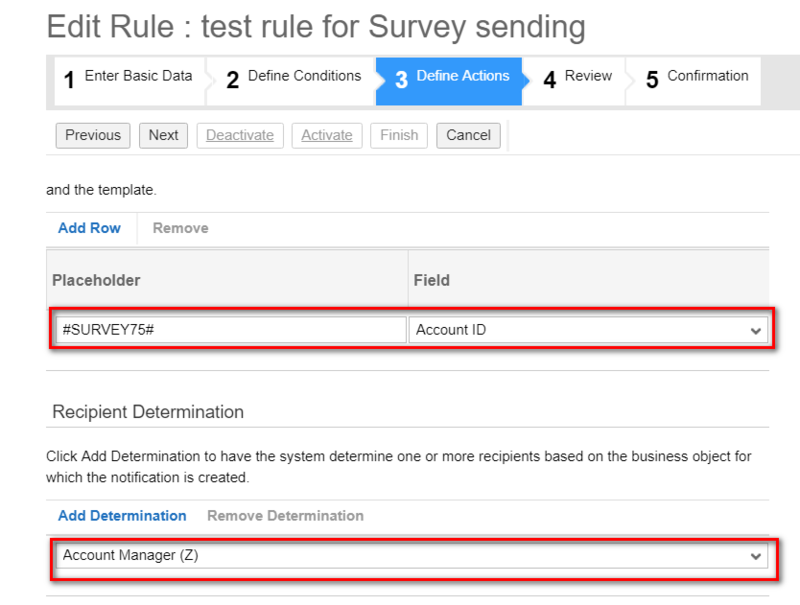 In Recipient Determination, specify the role which will be notified by this workflow. In the Results tab, we can see all the survey results are listed there. We can use this functionality with the opportunity bo but we cannot with visits. Is this possible only with opportunities? Solved, we managed to use external surveys for visits too. I know, now sap is providing the Datasource for visit answers. But How did you achieve the external surveys for visit and capturing in the data source earlier ? I have the same issue with visits – how did you solve that?